Earth Day was first celebrated on April 22, 1970. It’s no mere coincidence that was during the Apollo missions – they let us see our home planet in a new way. Print out some Apollo-Earth Day posters here. Alliance members can use our latest Earth Science Telecon resources to show audiences how NASA Earth Science is saving time, money, and lives in disaster areas across the globe. 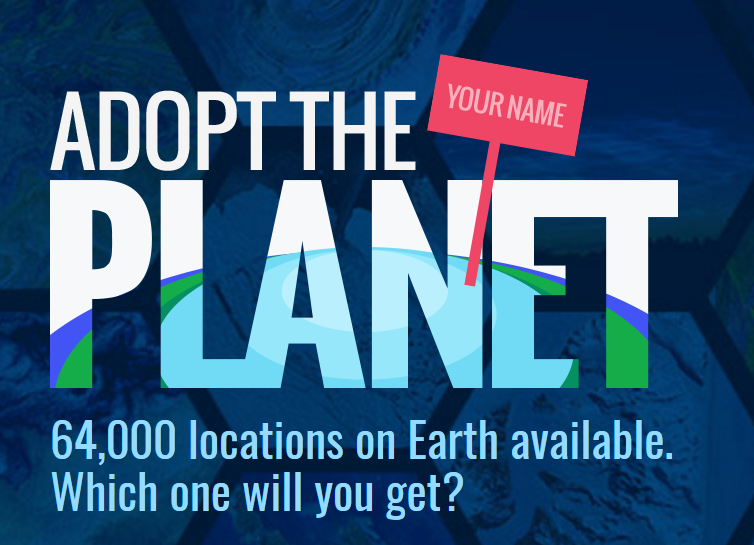 Earth Day 2018 (#NASA4EARTH) spotlights how NASA pioneers and supports an amazing range of advanced technologies and tools to help scientists and environmental specialists better understand and protect our home planet. Image Detectives is a citizen science project to help categorize, and locate the amazing NASA Imagery of Earth. Here’s a great and easy Earth Day activity of simply letting people truly observe Earth images, focusing on observation as a crucial part of Science. The write-up calls for Mars as well, but making it just about the Earth is perfectly fine. Another favorite activity is the Earth globe toss. Of course, if you don’t have an inflatable globe or other soft, tossable Earth, and you don’t want to get one, the idea is to find some way to randomly pick spots on the globe. That could be spinning a globe at random, throwing darts/magnets at a map on the wall, or using the Adopt a Planet web app. NASA Eyes on Earth lets you view up-to-date mission information and data in this simulator. Consider creating your own Eyes on Earth Museum Kiosk exhibit pictured below; it's easy! Want to hear more? See the members-only Eyes demonstration with the creator of Eyes. 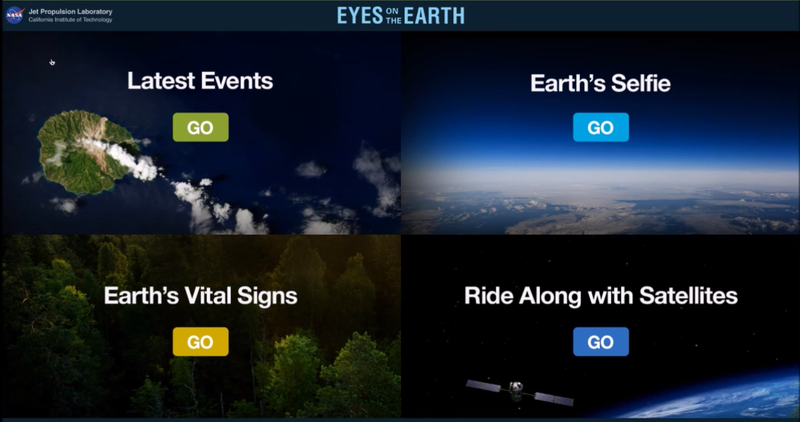 NASA's Earth Minute video series, downloadable here for offline viewing.